When Ramallah-based entrepreneur Faris Zaher was thinking about pursuing his second startup in 2011, he kept two things in mind. First, it needed to be a platform that users sought out for some brand of transactional service, like buying, selling, or booking. His first venture was a classifieds site that offered space to advertise things like real estate and cars — it hadn’t worked out. The second thing he knew was that in the MENA region, travel is a $50 billion per year industry, and growing. 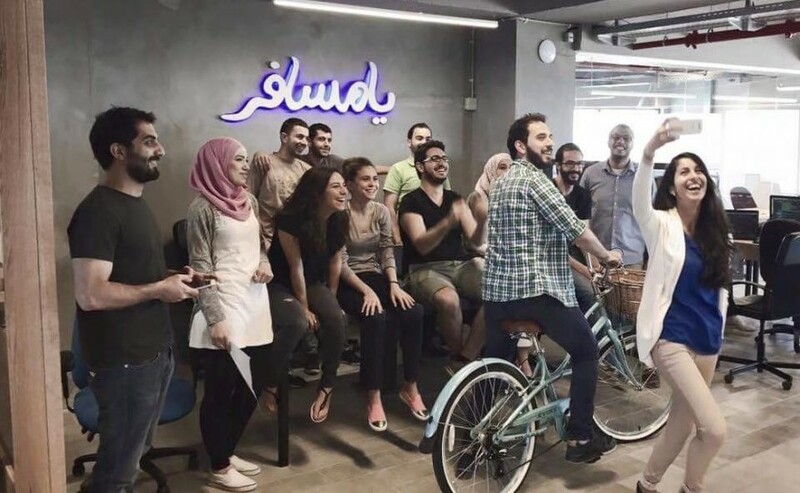 Along with two co-founders, including the company’s current CTO Sameh Alfar, Zaher decided to take advantage of the market’s scope and potential. They began to build Yamsafer, a hotel-booking website that serves travelers visiting the Middle East and Turkey. By early 2012, the group had developed a workable product, and in September of that year Zaher raised the first-ever round of funding from the Palestinian VC firm Sadara Ventures. In December of 2013, Zaher and his cohorts relaunched Yamsafer with an entirely new platform, and since then have grown by an average of 65 percent per month. They now work with over 600 hotels in their direct network, and with another 2,500 through inventory partners. Today, Yamsafer is the second most popular hotel-booking site in the region. Sameh and I went on to build the kind of company we would have wanted to start our careers in — that's Yamsafer today. Zaher takes pride in Yamsafer’s burgeoning but well-thought out success. Customers in the Arab world prefer Yamsafer to other sites for a few distinct reasons, he says. The most unusual among these is that when they book through Yamsafer, users can book rooms without a credit card. As the first travel site in the world to operate this way, Zaher and his team are offering a simple alternative to credit cards in a region where 90 percent of the population still carry plastic-free wallets.